* what triggers to watch for so you don't start the diet cycle* what are the phases of the diet cycle* how to be prepared for the diet season (so you don't fall victim again)* and more! 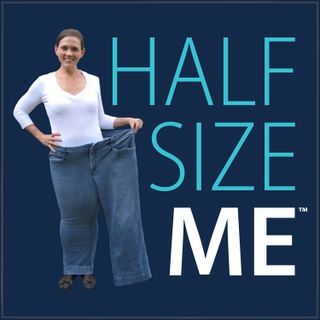 The Half Size Me™ Show is a weekly podcast meant to inspire you and motivate you no matter where you are in your weight loss journey. If you're just getting started losing weight, or if you've started and stopped so many times you've lost count, this is the show for you! Disclaimer: Heather is not a doctor, nurse, or certified health professional and what works for her or her guests may, or may not, work for you. So, please be sure to talk with your doctor, dietician, or other certified health professional when seeking advice about your own weight loss or weight maintenance plan. All information included in The Half Size Me™ Podcast and on HalfSizeMe.com is for informational and inspirational purposes only.